Your humble ed-otter was pleased and proud to attend the 2012 presentation of the Annie Awards for 2011, which took place at UCLA on Saturday the 4th. The Annie Awards are the “Oscars” of the animation industry, presented every year by the International Animated Film Society (ASIFA). It was a busy year for the awards, with many of the numerous categories having up to 10 nominees. And of course, entries with an interest for furry fans were well-represented. The big winner of the evening was clearly Rango, with five wins including the big one, Best Animated Feature. It also won for Writing, Character Design, and Editing, as well as the new Members’ Favorite category (the single category voted on by all ASIFA members, regardless of their professional or fan status). 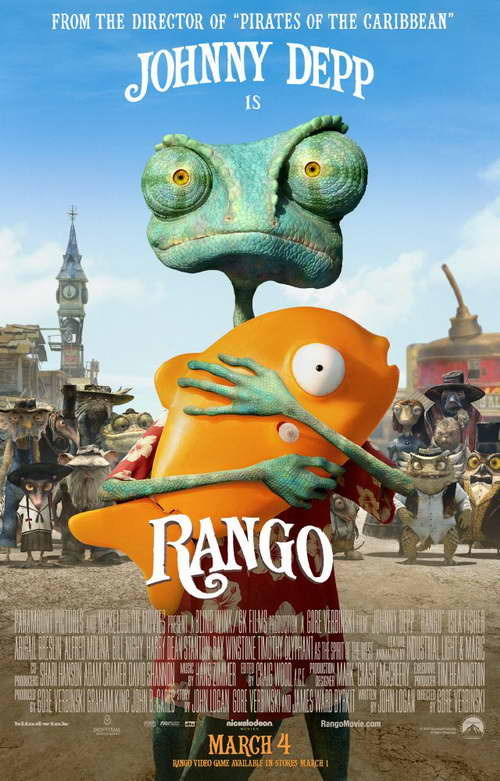 Interestingly, it was not a complete Rango sweep, as Rio won for Character Animation (by Jeff Gabor) while Kung Fu Panda 2 won for Production Design, and Best Director (Jennifer Yuh Nelson). Secrets of the Masters, the back-up short included on the Kung Fu Panda 2 DVD, also won for Best Animated Special Production (which honors OVA’s and direct-to-DVD projects). Disney’s 2D Winnie the Pooh also racked up one win, for Feature Film Storyboards by Jeremy Spears. The winner of Animation in a Live Action Production (a new category that was just introduced last year) was Rise of the Planet of the Apes. Minkyu Lee won Best Animated Short Subject for his 17 minute 2D film Adam and Dog. In the category of Best Game, the honor went to Insanely Twisted Shadow Planet, the creation of well-known funny animal and fantasy cartoonist Michel Gagne. In the television categories, the big winner of the night was Prep & Landing: Naughty vs. Nice from Disney, which won four awards. (However the big prize, Best General Audience TV Production, went to perennial favorite The Simpsons). Penguins of Madagascar won for Editing in a TV Production, and Voice Acting (for Jeff Bennett as Kowalski). The entire show was hosted by comedian and actor Patton Oswalt, the voice of Remy in Pixar’s Ratatouille. At the after-awards dinner party, Rango director Gore Verbinski remarked that the show was “The strangest thing I’ve ever seen”. We’d be hard-pressed to argue. For a complete list of all the winners and nominees, make sure to visit the Annie Awards web site. And remember, a membership in ASIFA not only gets you a discount on tickets to the Annie Awards, but lots of animation screenings and seminars throughout the year as well.